Wrap your baby up in a cozy bathrobe in various animal hooded styles. Made of soft terry cloth, its 100% cotton robe is soft and thick and dries baby quickly and easily. With an adorable animal design, these are beloved by parents and babies alike. 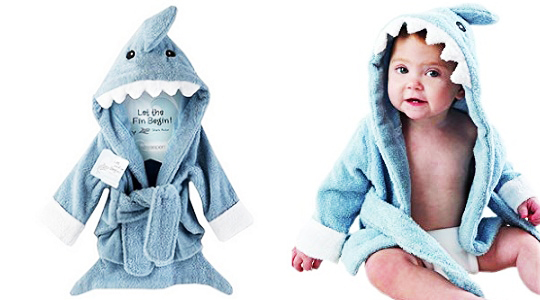 Parents are going to fall for this terrific sea-inspired robe hook, line and little stinker. Great fun every morning with your little ones.